i was browsing the doll category on Etsy one day when i stumbled across what i thought was THE CUTEST DOLL EVER. 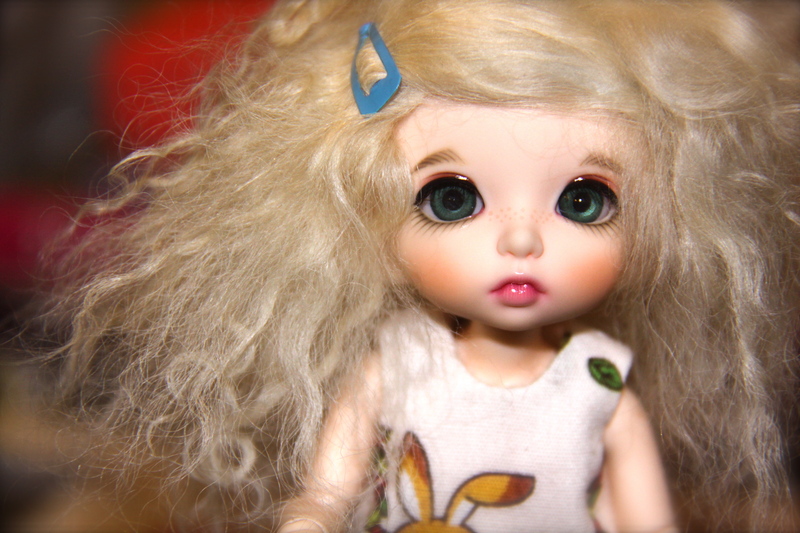 turned out she was a Pukifee Ante (thanks to the seller for identifying the doll in her listing!) and I was in love. i loved dolls as a kid, and probably played with them longer than most other girls my age, but that’s something you tend to give up in the teenage years for fear of being outcast socially 🙂 however, i’ve always been attracted to cute and sweet things, and i got my fix other ways – such as cute ornaments and occasional softies. when i saw Ante, however – i really needed her (plus i’m older and have realised that you’re better off doing what makes you happy, rather than what others think you should do), but the one thing that made me hesitate was the price – it seemed a lot of money. that didn’t stop me, though – within a week i had placed a layaway order through Denver Doll 🙂 . and then… i realised i couldn’t wait three months to get one of these cuties in my hands, and i ordered an instock Bonnie from Denver Doll. my bad (but i don’t regret it). my Bonnie (who was eventually named Annabel) arrived around two weeks later and she was absolutely freaking adorable.